Islamic civilisation is still a widely taught subject in universities and colleges in the Islamic world despite a decline of intellectual and academic concern with the subject in its higher institutions of higher learning. It is either taught as an independent subject or a complete module or as part of another subject, particularly Islamic history. In some universities and colleges Islamic civilisation is taught as a compulsory subject or module to all students, including non-Muslims, which they must also pass in order to graduate. Of late, both the usefulness and the effectiveness of university and college courses on Islamic civilisation have been increasingly questioned within the academic community as well as by members of the public, although overall support for such courses is still strong. In the light of this development, it would be a good idea if the teaching of Islamic civilisation in universities and colleges is thoroughly reviewed with respect to its objectives, content or curriculum, and pedagogy or teaching methods with the view of making it more effective and attractive to students. SOASCIS and its co-organisers share the belief that rightly taught and emphasized the subject of Islamic civilisation can offer many intangible benefits to students regardless of their religion, especially to the enhancement of their creative thinking and intellectual outlook. 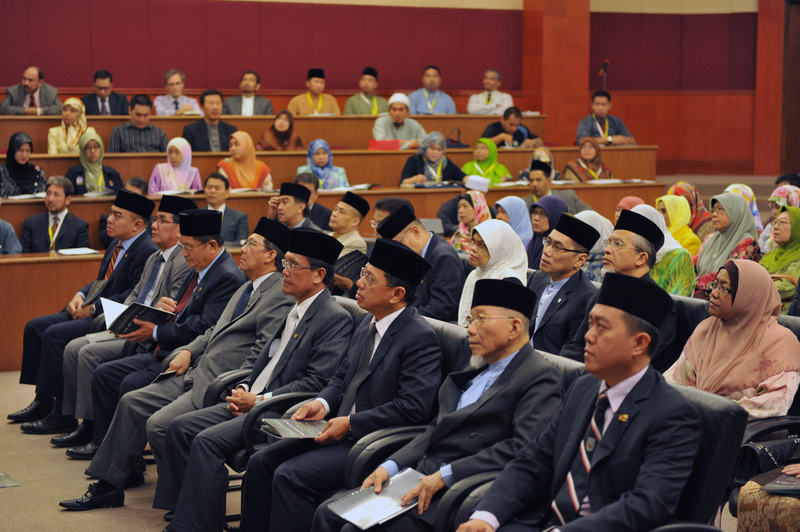 SOASCIS in particular, which since January 2014 has been entrusted with the task of teaching a one-semester compulsory module to all students of Universiti Brunei Darussalam (UBD), looks upon this historic task as both a challenge and an opportunity to advance teaching and research in the area of Islamic civilisation in institutions of higher learning. To help advance the cause of Islamic civilisational review in the 21st century. A number of distinguished international and national speakers and paper presenters are invited to deliver their presentations on topics that have been respectively specifically assigned to them. Others interested in presenting papers are most welcome to do so, but the topics of their papers should clearly pertain to one of the above objectives of the Conference. Thank you for your interest in our conference. You can participate both as a paper presenter, or just as a participant. Will you provide Travel Allowance for international paper presenters? Unfortunately, travel allowance is not provided to paper presenters. will you exclude international paper presenters from registration fees. Bcz, we have to spend a lot for travel. i hope, you can understand my interest to participate in your Conference! You can submit your paper to us and we will forward it to the committee for evaluation. Please note that only selected papers are exempted, not all that participate. What is the language of conference ? The language that will be used throughout the conference will be Malay and English only. Thank you for the announcement on your university’s website. I am a bit confused about the actual deadline for submission of abstract. The date on the advert is 31st August 2014 while the one on this site is 31st July. I would like to know if you still accept abstract. The latest update on the deadline is the 31st of August. Thank you for noticing the error. Sultan Omar 'Ali Saifuddien Centre for Islamic Studies (SOASCIS) | Universiti Brunei Darussalam (UBD) | Jalan Tungku Link, Gadong BE1410, Brunei Darussalam.